Città della Pieve is one of our Medieval villages recommended for visit for its proximity to il Fontanaro (only 13 km). From the city you can see both Lake Trasimeno and Lake of Chiusi. It was the town of Pietro Vannucci, better known by the name of il Perugino. For turistic attractions, please go to the tourist office in Piazza Matteotti. You can park close by, at parking lot at the end of via Marconi. Also from Paciano you can walk the hills to reach Citta’ della Pieve, ask us for the walking route. 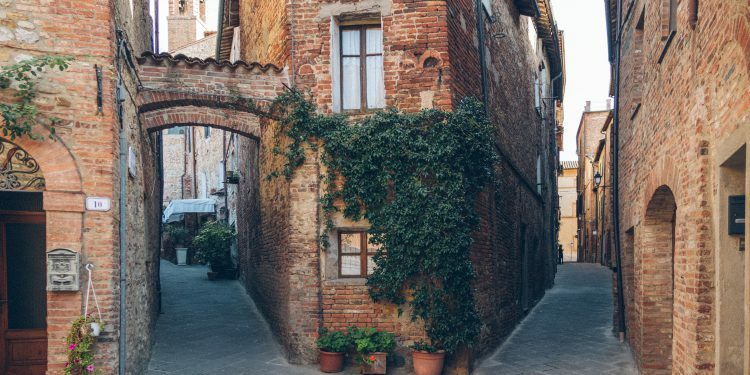 1) A kiss in one of the narrowest street of Italy, vicolo Baciadonne. The name means the street where to kiss women. The street ends with a view over Chiana Romana valley and mount Cetona. 2) A view of il Perugino painting “L’adorazione dei magi” from 1.504 at the Oratorio di Santa Maria dei Bianchi. From this painting you can easily recognize the beautiful sourrounding of Lake Trasimeno. 3) The August yearly event of Palio dei Terzieri. Bar Stefanini For coffee and Sacher tarte in piazza Plebiscito. The real typical old style Italian bar. A coffe is 80 cent! 320 Gradi – we go there every Saturday before visiting the fresh market. Every week they use different organic or raw flour and organic yeast. Also they use local ingredients such as the delicious finocchiona, a special salami with fennel. Where: via Marconi 32 – the parking lot just in front of this pizzeria. 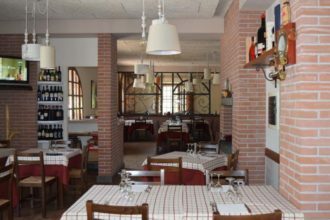 Il Saltapicchio – via Marconi 26 – On Sunday they do a nice Sunday brunch and also they organize special aperitivs like on Friday night. Beautiful terrace overlooking the village in spring and summer. 10% off for il Fontanaro’s guests. Every Saturday around Piazza Matteotti. Sometimes you can buy here fresh truffle. Panicale Cashmere – High quality made in Italy cashmere outlet, please ask us for the 10% bonus discount for this store! Via P. Vannucci, 107 – Also they can do special opening for us during holidays!